Mucha produced 45 text illustrations and 10 full page illustrations for Xavier Marmier's book of fairy tales, Les Contes des Grand-mères. 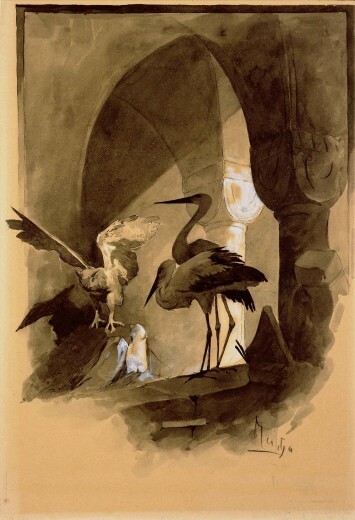 The publisher, Librairie Furne, Jouivet et Cie, were so impressed by the illustrations that he decided to submit them for exhibition at the Paris Salon. To Mucha's surprise and delight, they received an honourable mention.